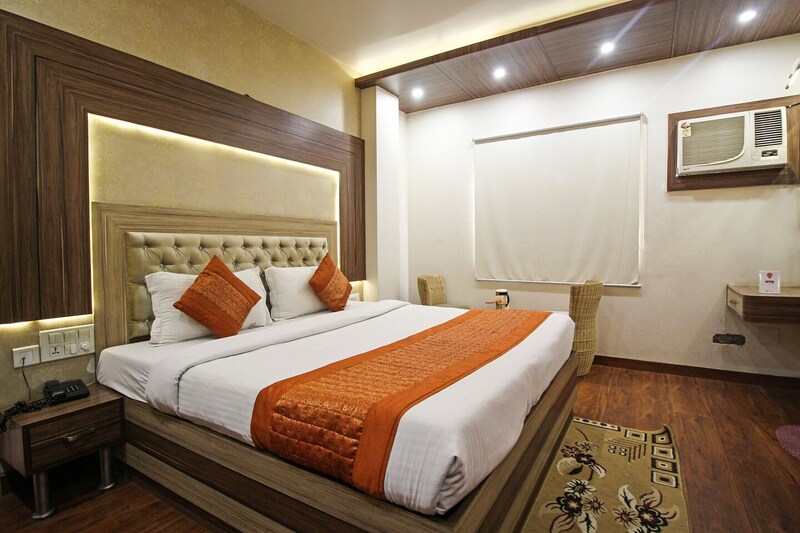 Hotel Classic is located in Karol Bagh, Delhi. It is quite close to the ancient and obscure beauty called Bhuli Bhatiyari ka Mahal. Central park and Ugrasen ki Baoli are about a kilometer away from the hotel. You can also visit Safdarjung Tomb and Mumtaz Mahal from there. The rooms are done in an elegant fashion with wallpapers on each wall. There is a conference room for the events for guests as well. There is mirror, fridge and storage space in every room. You will also find services like room heater, geyser, air conditioning, laundry, seating area and free Wi-Fi.. Shopping lovers can explore Karol Bagh Market to get some amazing deals.